The number of medical marijuana dispensaries and registered patients in Oregon is plunging now that the state’s recreational cannabis industry is fully operational, casting a cloud of uncertainty over the MMJ program’s future. 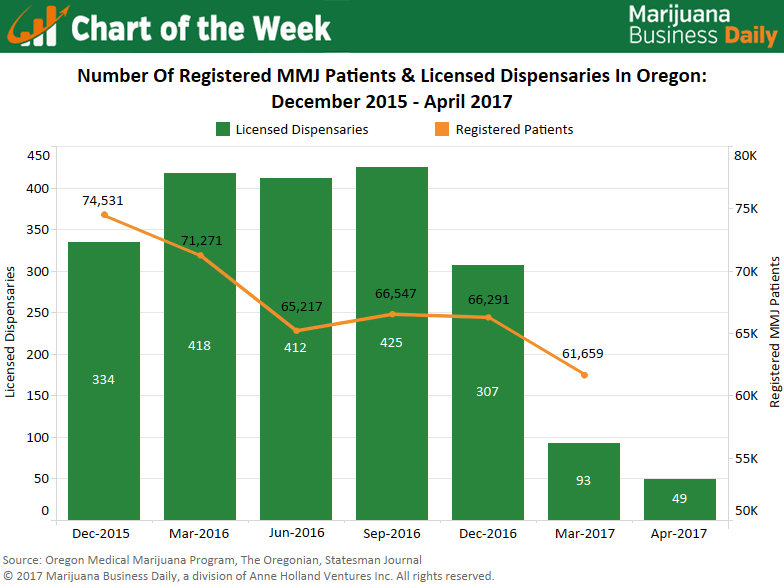 Over 200 dispensaries in Oregon have either closed or transitioned to the rec market since the start of 2017, when the state officially separated its medical and adult-use programs. That equates to an 84% decline in the number of dispensaries. Patient counts have been dwindling since early recreational sales began in the fall of 2015, but they haven’t dropped at the same velocity. Medical marijuana cards are valid for one year in Oregon, so further declines may be forthcoming if patients decide not to re-enroll in the program. The state will release updated MMJ patient figures in July. Starting in October 2015, MMJ dispensaries were allowed to sell limited amounts of cannabis to recreational consumers. But that transitional period ended on Jan. 1, 2017, when the state began requiring dispensaries to obtain a recreational business license if they want to serve the adult-use market. Without a rec license, dispensaries can now sell only medical cannabis to MMJ patients. Confronted with the option of remaining medical-only and selling to the roughly 65,000 patients in the state or transitioning to the rec market – which has an estimated 440,000 in-state customers – many dispensaries decided to either switch to the adult-use program exclusively or apply for an endorsement that allows the store to continue serving MMJ patients along with recreational customers. Currently, 60% of the state’s 436 licensed retail stores are authorized to sell higher potency medical-grade products to registered MMJ patients. 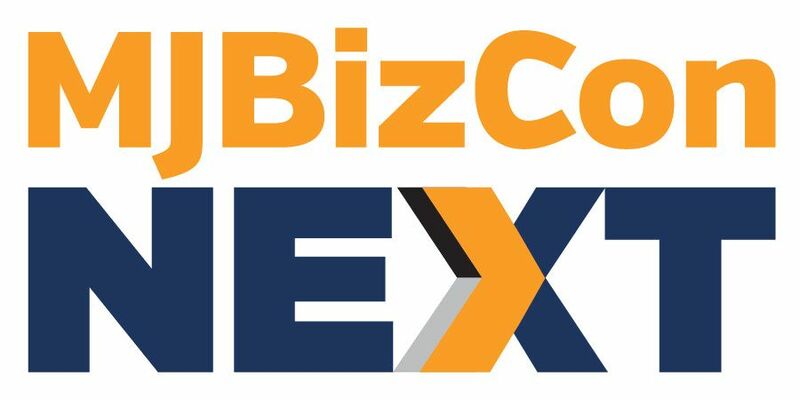 For dispensaries that have chosen to stay solely in the medical market, however, the exodus of many of their peers to the adult-use industry may present an opportunity – as long as patient counts don’t fall to unsustainable levels. The rec market is quickly becoming saturated, and in some areas of Oregon, it has already reached that point. The state received nearly 2,000 applications for recreational marijuana businesses in 2016, double the amount it expected. Many MMJ patients may also be turned off by the idea of visiting a rec store to purchase medical cannabis, as the product selection and atmosphere will likely be tailored toward the larger adult-use market. Conceivably, a dispensary could find more success catering to a much smaller customer base given the relative lack of competition. A report from the Oregon Medical Marijuana Program lends support to this notion, showing that MMJ patients purchased an average of 7.5 grams of usable marijuana per transaction from June through December of last year – nearly four times more than that of the average amount purchased by rec customers. No matter how the situation shakes out, 2017 will be a pivotal year for Oregon’s MMJ industry. I wouldn’t worry too much about the decline in MMJ shops, we went through a similar transition here in WA and the MMJ people all go to rec shops now, present their green card and they pay less for MMJ than rec customers do for rec MJ. Sure, there were some complaints and those who were worried at first but that’s no longer the case here. I think the ex-MMJ shop staff have made the rec industry better by bringing in their superior product knowledge.